New Hall of Fame intro and song every Monday! 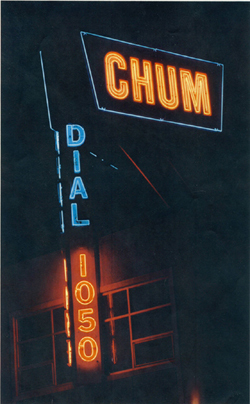 A grab-bag of some of the greatest treasures from the CHUM archives! 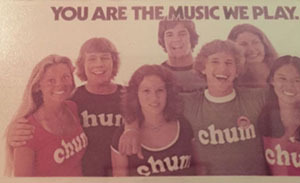 All CHUM photos, memorabilia and airchecks (except where noted) are from the official CHUM Archives. 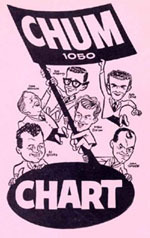 Click below to see every CHUM chart (front & back covers plus the inside chart information) from the first on May 27, 1957 until the last on June 7, 1986. Thanks to Ron Hall for his magnificent clean-up job on the charts. 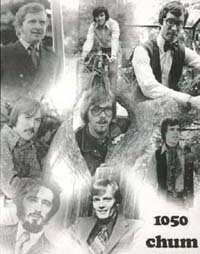 This site is a tribute to Allan Waters, the Waters family and everyone who worked at 1050 CHUM as a music station from 1957 until the music era ended in 2009. Mr. Waters (everyone called him Mr. Waters) bought CHUM in December of 1954 and on May 27, 1957 launched Canada's first full-time rock and roll radio station. 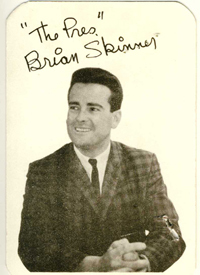 On this site you'll find bios of CHUM personalities, plus photos, airchecks, memorabilia and every CHUM chart (front/back/inside) in pristine condition. 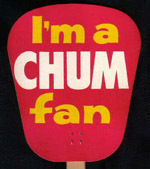 A very special thanks to Jim Waters for his unwavering support of all things CHUM. Enjoy CHUMbugs! Hear CHUM exactly how it sounded, from its earliest days as a rock 'n' roll station, to its later era as an oldies outlet! 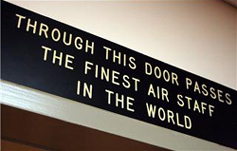 Get the scoop on Canada's original rock 'n' roll station! 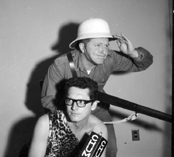 Capsule bios of the many personalities that helped make CHUM Radio One! Take a stroll down memory lane with these classic pics!